Participants during Exercise Obangame Express 2019. 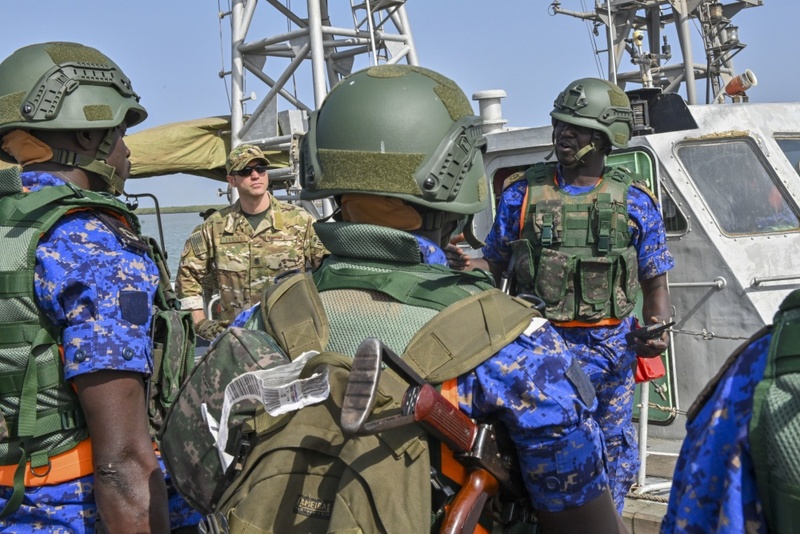 Two weeks of successful multinational training during exercise Obangame Express 2019 (OE19) concluded with a closing ceremony and press conference in Lagos, Nigeria, on 22 March. OE19 participants arrived in Nigeria to begin pre-exercise training on 10 March. Following an opening ceremony on 14 March, the participating countries divided into seven zones of operation and began working together on exercise scenarios developed around current maritime challenges in the Gulf of Guinea including illegal fishing, drug trafficking, and piracy.